One of the best ways to establish the impact of a potential change to our built environment is to trial it. 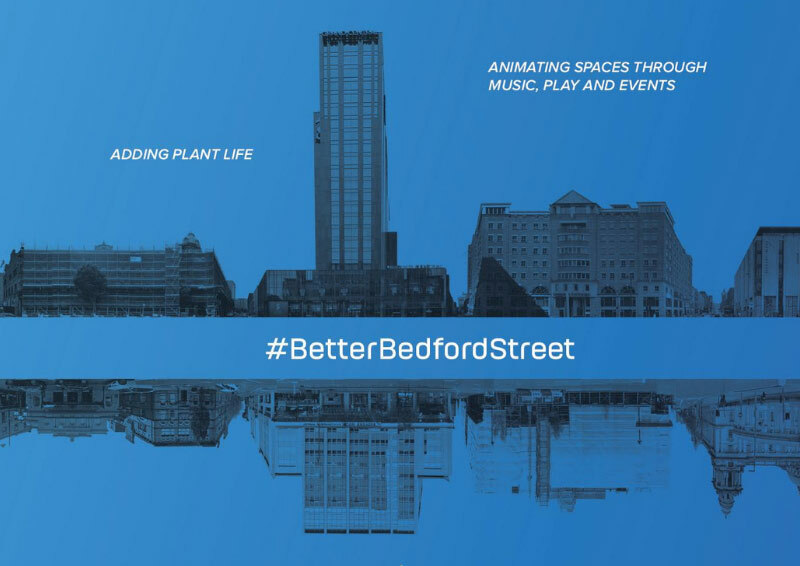 The Better Bedford Street Project is focused on testing out this approach in Northern Ireland by trialling physical changes to Bedford Street to make the street a more attractive place. It aims to support Belfast City Council’s Belfast Agenda of a city that is increasingly attractive to live in, work in, socialise in and visit – a healthier and happier place. Find out more about this innovative and exciting project by joining this joint webinar from the Institution of Civil Engineers Northern Ireland and the Royal Society of Ulster Architects. Richard has been the Regional Director of ICE since June 2014, having previously been the Assistant Regional Director since January 2011. He is responsible for coordinating support to the Regional Board and Committee as they undertake the work of ICE locally. Prior to ICE, Richard was a senior engineer with the multinational consultancy AECOM, responsible for the delivery of capital projects in Northern Ireland and the Isle of Man. Richard is a Fellow of ICE and also holds a Master of Business Administration. Ciarán was appointed Director of RSUA in June 2015 after 10 years with the Construction Employers Federation (CEF). RSUA is a charity dedicated to improving the built environment through good architecture. It is also the professional body for architects based in Northern Ireland and is in alliance with RIBA. RSUA has approximately 1,000 members. Ciarán is a former chair of the Northern Ireland Construction Group and sits on the on the Construction Industry Forum for Northern Ireland.